The tool set for a serious graphics has expanded well beyond the standard pencils, pens, paints and paper. Now, how far you get in the profession can often be tied to how well you know the software that drives the majority of design work in the 21st century. 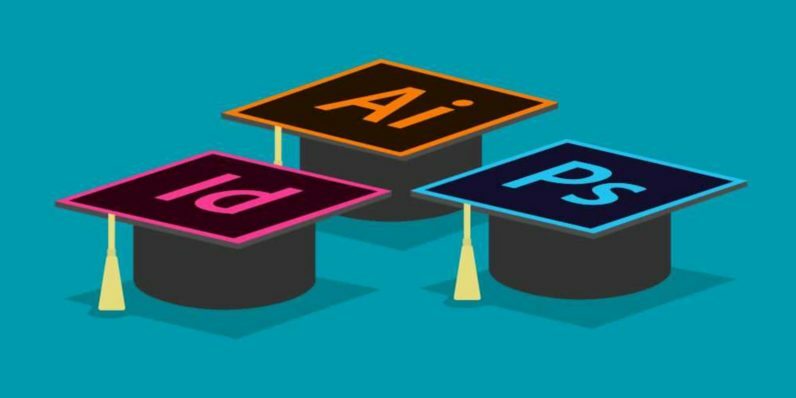 The Adobe Creative Suite is still the gold standard for basically any artistic endeavor online, so get to know three of Adobe’s most popular — and powerful — tools with these Graphic Design Certification School courses. They’re on sale right now for only $39, over 90 percent off, from TNW Deals. Adobe Photoshop is practically synonymous with web photography and image manipulation. In this course, you’ll learn all there is to know about editing photographs online, including image morphing, color and layer shifting, and the tricks the pros use to make an image or graphic truly pop. With InDesign, you’ll have everything you need to craft publishing materials of all shapes and sizes. Whether it’s business cards and pamphlets or larger-scale projects like posters or interactive graphic displays, InDesign will give you the background to fashion brilliant layouts and eye-catching imagery. Finally, your training concludes with an immersive look at the world of graphics and multi-vector images with Adobe Illustrator. Simple logos, icons, typography and more can be jazzed up with special effects and three-dimensional images that’ll have digital design projects leaping off the screen. Meanwhile, each course also earns you credit toward Continuing Professional Development certification. It is an independent assessment body that verifies your skills and lets everyone know you’re qualified and current with the top graphic design tools. Each course here usually would cost about $400, but by getting in on the limited time offer now, you can land the complete bundle at a fraction of that cost — just $39.